Update October 31, 2016: I was listening to the radio the other day and someone said “You can’t buy anticipation” and it reminded me of this post. April 26, 2013: A popular song would have you think that anticipation is the most difficult aspect of any soon to be fulfilled desire. It is to some, but to me it’s usually the best part, because the thing anticipated, lets say a recently purchased Alfa 1900C that’s currently in a trailer headed across the country, the thing anticipated once physically in the hand will never be as good as it is imagined in the hand. Why? That asymptotic creep toward ennui begins the moment the item occupies my precious garage space. How’d you like to have this car headed your way in the back of a transporter? 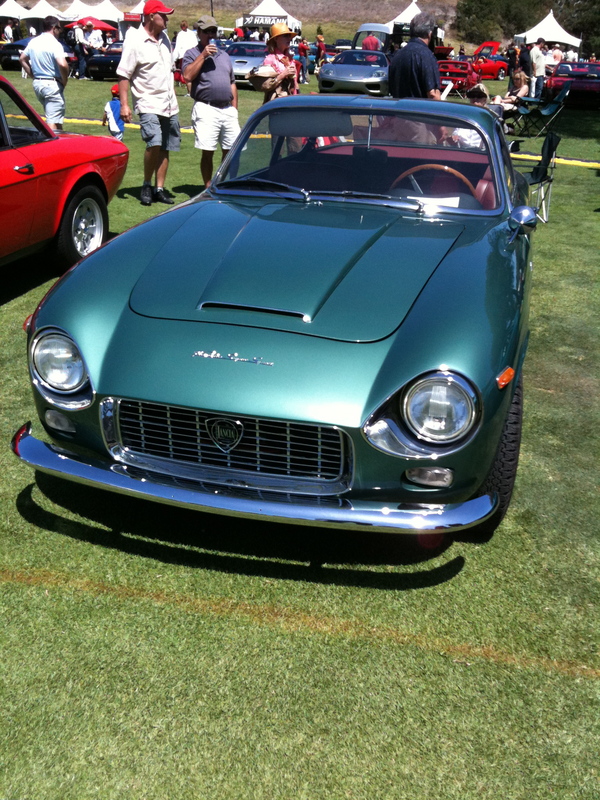 Similar color to Market 477’s Alfa Spider. The post about VINs and years and all got me thinking about the real history of these cars. History, in the collective sense, is a view from a perspective, a mix of what appears to have happened (or what you are told happened), and small pieces of hard information; data that modifies this general history as what actually happened is discovered. I guess you could say you start out viewing it as a forest, but recognize that it is ultimately the story of many individual trees. Why make this analogy? A register of VINs is a forest, an individual car you have had a relationship with is a tree. 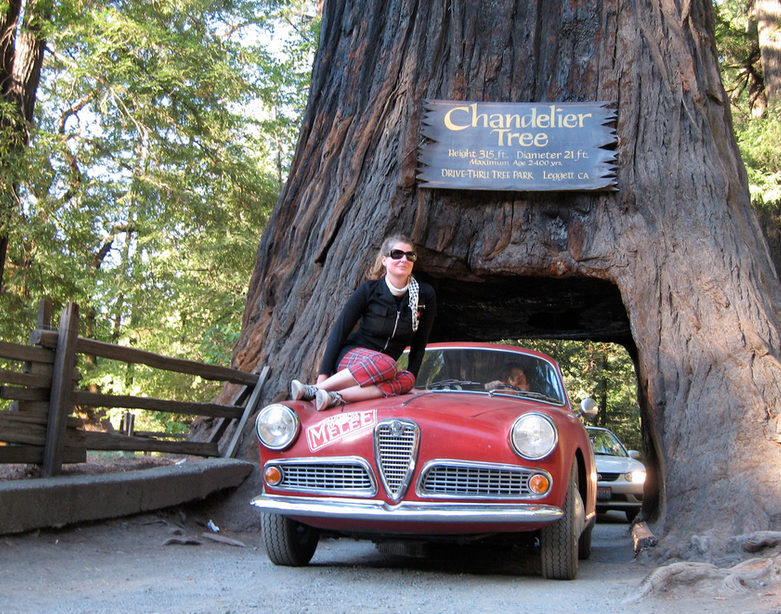 I own a 1959 Giulietta Sprint, and could leave it at that, but today I won’t. I’ll think of its history as a series of moments rather than a serial entry in a range on a data sheet. I own Giulietta Sprint 10105 20379, with engine 1315*010669. It started out as ore in some third world country, ore that came together following an engineered manufacturing plan, as refined metal in 1958 most likely. It was stamped and cast then touched by many skilled hands in the Bertone factory as individual parts were fitted, paint and polish applied. It was inspected, tested, and ultimately put on a ship bound for the USA as part of some money making scheme. It’s like a half remembered dream. This is pre-Rufus by a good 7 years. A lot of my personal history in one picture. I have a classic vehicle collection: three cars, two of which run, and 10ish motorcycles, two of which run –oh, and two bicycles, both of which ride. 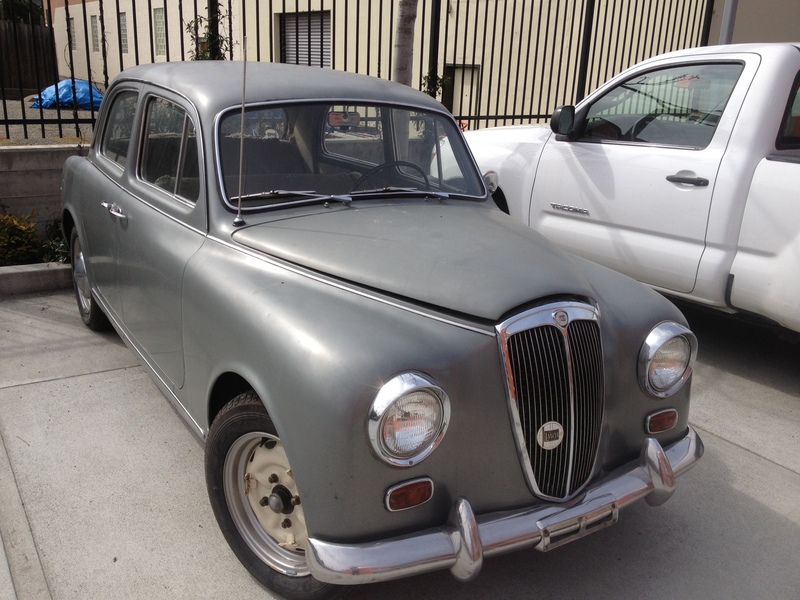 The other day I was trying to get the hood to latch correctly on my Lancia Appia series 2 sedan, and failing, I sat back and looked the car over –a charmingly subtle if mousy little sedan in metallic gray/green. I didn’t seek this car out – it sought me out. I happened to swing by a friends shop and a guy there mentioned he had an Appia for sale. You know how the rest goes down. It cost me an afternoon, a little money and a measure of my hopefully replenish-able serendipity.